A Black bartender says she was suspended and fired from a Detroit restaurant owned by singer Kid Rock for wearing her hair naturally, in an afro. Carinne Silverman-Maddox of Oakland County, Mich., alleges in a lawsuit filed against the Kid Rock restaurant at Little Caesar’s Arena in Detroit that on Oct. 13, she showed up for work for the first time with her hair in a “curly afro” and she was “abruptly suspended and dismissed for allegedly over pouring a single drink,” the Detroit Free Press is reporting. Silverman-Maddox also says in the suit that she was the only Black bartender at the restaurant at the time at that white coworkers making the same error were admonished but not dismissed, according to the Free Press. The bartender also alleges that her lawyer sent a letter to the defendants indicating that a complaint had been filed with the Michigan Department of Civil Rights and it was after this that she was dismissed, according to the news organization. The lawsuit says the firing was in retaliation for the legal action. 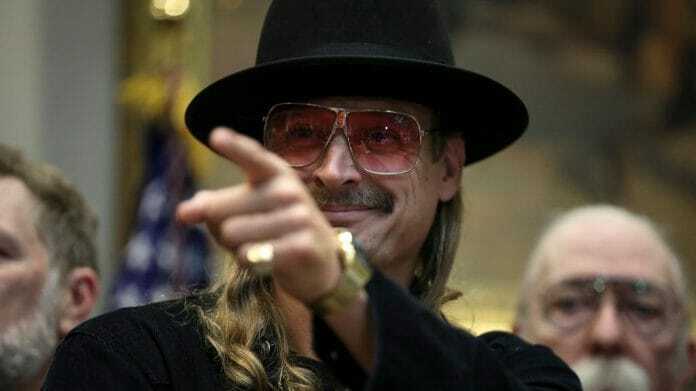 Kid Rock is not named as a defendant in the suit. The legal action names Bobby Moscow LLC and Top Dog Records, both tied to the singer, the news organization reported. Bobby Moscow did not immediately respond to the Free Press’ request for comment. This is not the first time that Kid Rock has been embroiled in a race-related controversy. About 200 protesters showed up in September 2017 when Kid Rock opened the Little Caesar’s Arena, and one protester told the Free Press that the singer’s presence was an insult because of his past practice of having the Confederate flag onstage during performances as well as comments viewed as racially insensitive.